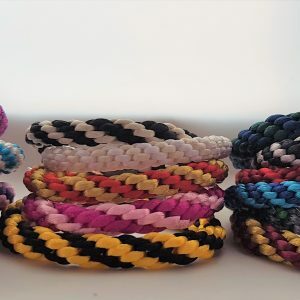 Create your very own Kumihimo braided bracelet made from satin Rattail (nylon) cord. 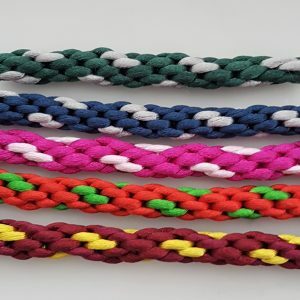 Any combination of colours can be used to create a highly colourful bracelet, as you’ll see there are many potential combinations, so I have tried and hopefully managed to make ordering your own favourite colours as simple as possible. 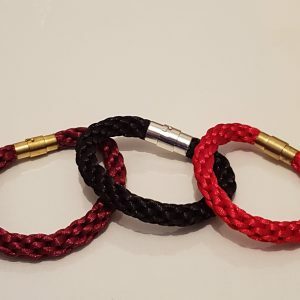 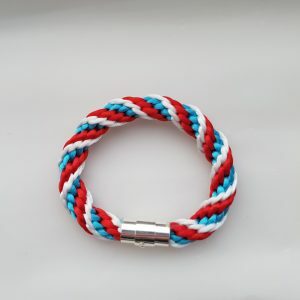 You can create a bracelet that is highly personal and means something to you or you can chose your team colours (football, ruby, school/college/university, etc) or Regiment/Military colours or simply select your favourite colours.